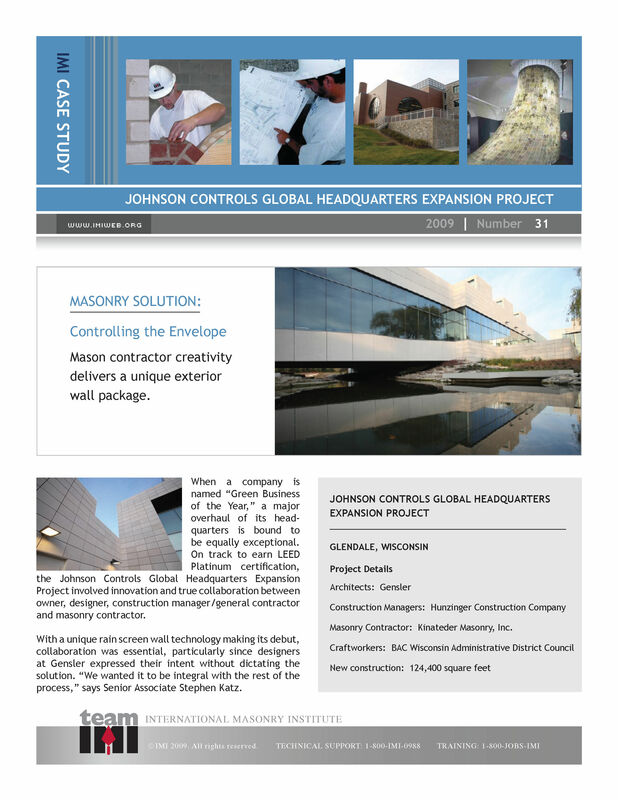 Mason contractor creativity delivers a unique exterior wall package. When a company is named “Green Business of the Year,” a major overhaul of its headquarters is bound to be equally exceptional. 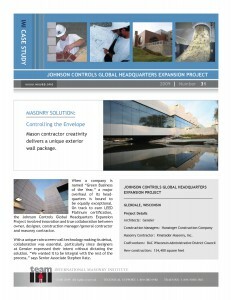 On track to earn LEED Platinum certification, the Johnson Controls Global Headquarters Expansion Project involved innovation and true collaboration between owner, designer, construction manager/general contractorand masonry contractor. process,” says Senior Associate Stephen Katz….